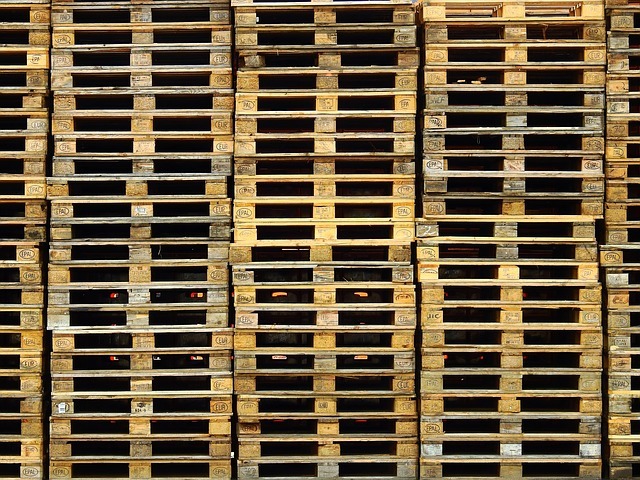 94% of all pallets used are wooden because they are strong and durable (credit). They are used for shipping anything from heads of lettuce to lawn mowers. Because they are used for shipping nearly anything and everything, over 400 million new pallets were manufactured in 2011, over 470 million pallets were recovered out of which 326 million pallets were reused as pallets and the remaining 148 million were recycled to become other reprocessed products (credit). Remmey, The Pallet Company are leaders in this industry. As a Pennsylvania-based business, most of their lumber comes from northcentral and northwestern Pennsylvania. Remmey consumed an impressive 32,000,000 feet of PA hardwood in 2016. The majority of their customers are located within 200 miles. With an impressive fleet of 14 tractors and 80 trailers, they are able to personally deliver their pallets to their customers. Our customer base is a mix of industrial, pharmaceutical, electronics, food and packaging. "Everything manufactured in volume in the US gets shipped on a pallet", states Don Remmey, "We sell pallets to Johnson & Johnson in New Jersey, they can load their product on those pallets and they can go anywhere in the world!" Pallets have to be heat treated to leave the US. About 30% of Remmey's pallets are purchased with the intention to ship out of the country. While Remmey does not directly export pallets, their customers are authorized to export their product on Remmey pallets because the pallets are heat treated and stamped. Remmey employs 125 people at their two locations, Beaver Springs in Snyder County and Lehighton in Carbon County. They have 4 full time salesmen that cover PA and New Jersey. They prefer to sell directly to the end user, but because of travel distance they sell through manufacturer reps in Maryland and New York. "We’re always looking for good help, both in the labor force, and also in administration," states Don Remmey. To get in touch with Remmey, The Pallet Company, we encourage you to visit their website.